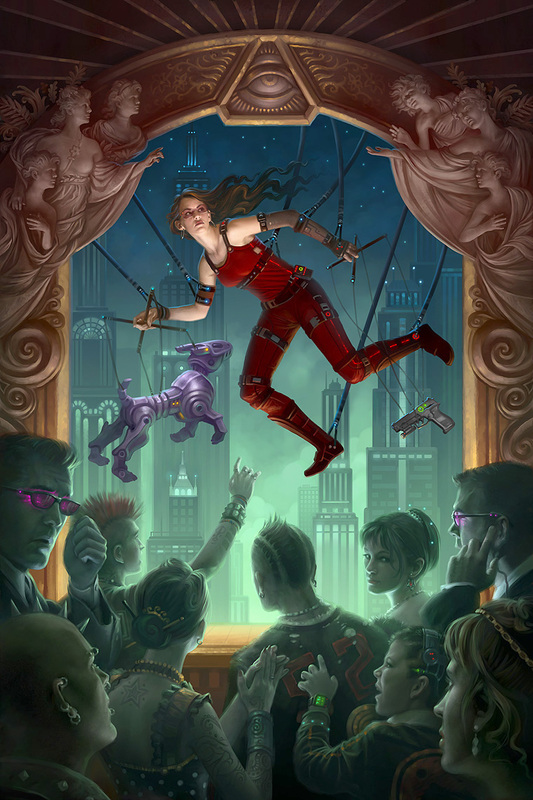 I am excited to announce that my painting Body Language will be used for the cover of the upcoming release of Word Puppet, and collection of short fiction by Mary Robinette Kowal. I originally created the painting to go with her short story Body Language that was published in the Intergalactic Medicine Show quarterly. I loved the original story, which makes me all the more excited and honored to have my painting on the cover of this collection of work (and to get a copy when it comes out this fall. Thank you Mary, Paula and Prime Books!